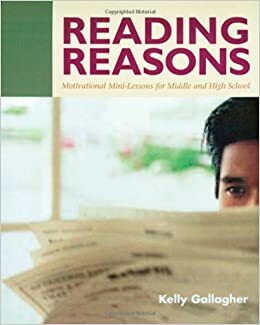 There has been much written about student choice in reading–powerful, challenging calls to action from educational greats such as Penny Kittle and Donalyn Miller among many others. I highly recommend that you take a moment to watch Kittle’s video, Why Students Don’t Read What is Assigned in Class?, and read Miller’s blog post, Let My People Read, if you haven’t already. Kelly Gallagher writes an important piece on combining choice, limited choice and no choice in Moving Beyond the 4X4 Classroom. I’m not going to try to say what others have already said, and much better than I ever could. Instead I am going to try to show why I believe in it for my sophomore students and how choice in reading looks like in my classroom. One year, a group of former students came back to visit me. During our reminiscing, they began to joke about how they didn’t finish reading the books we studied when they were in my class. I knew something had to change. I didn’t want students to come back joking about what they didn’t read. I wanted students to come back and talk to me how much they were still reading. So I began to explore the idea of choice. I believe in giving choice, because I know how powerful it has been in my classroom with my students. This year I have focused on giving students choice in reading and allowing them to enjoy it by not assigning a certain number of pages to be read, lengthy responses, or mandatory written reading logs. Just in case you were wondering, my students are doing this reading as well as a lot of reading in class. To date we have read and studied in class 1 children’s book, 3 articles, 10 complete short memoirs, 10 excerpts from books, 3 complete short stories, 3 poems, and 2 short videos. 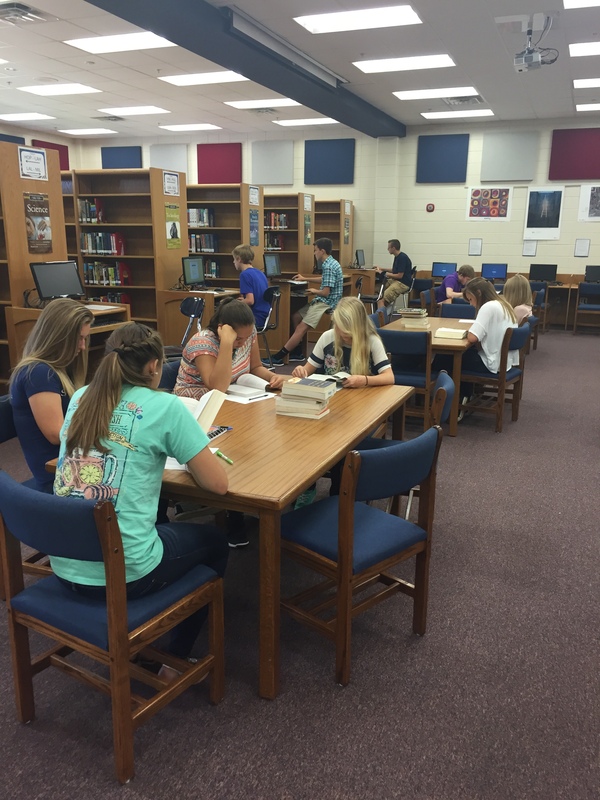 Students were exposed to numerous books on the second day of school. Students have been given time to read in class, at least 3-4 times a week. Students set their own goals on Goodreads. Students log their pages on Goodreads, but they have not been assigned a specific number of pages to complete. Students are given the freedom to abandon books. We have Book Talk Tuesdays. Often our media specialist and assistant join us. 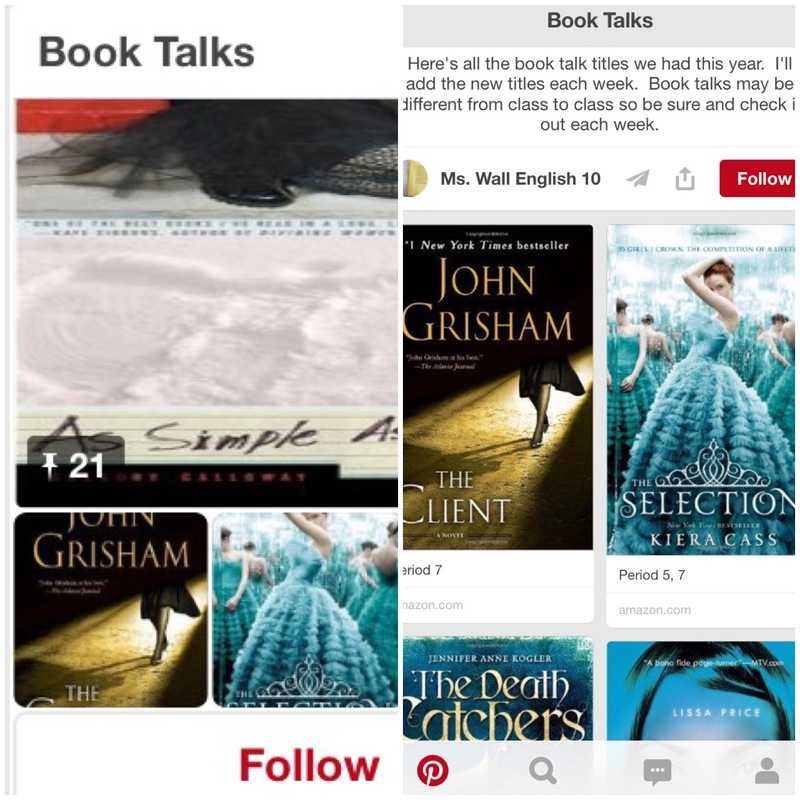 I pin the books promoted to our Pinterest page so students can go back and look (and I can keep up with the titles). Students are surrounded by books in my classroom and have easy access to them. They also have time to go to the media center. I post what I’m reading in the classroom, as well as on Goodreads. Students can always see what I’m reading and how much I’m reading. I asked my students to complete an anonymous survey (via SurveyMonkey) to gauge how the students felt about their reading this year. (Side note: I foster a safe environme nt where I value what students think and real feedback—with each other and with me. I’m not saying they always tell the truth, but they know I value truthful feedback.) Out of my 151 students, 145 completed the survey. 63% believe they have read more this year than last year. 61% have read 1 or more books since the beginning of school, August 3. Of that 61%, 24% have read 3 or more books since school began. 82% prefer to choose their own books; 3% prefer to have a novel assigned; and 15% said they had no preference. 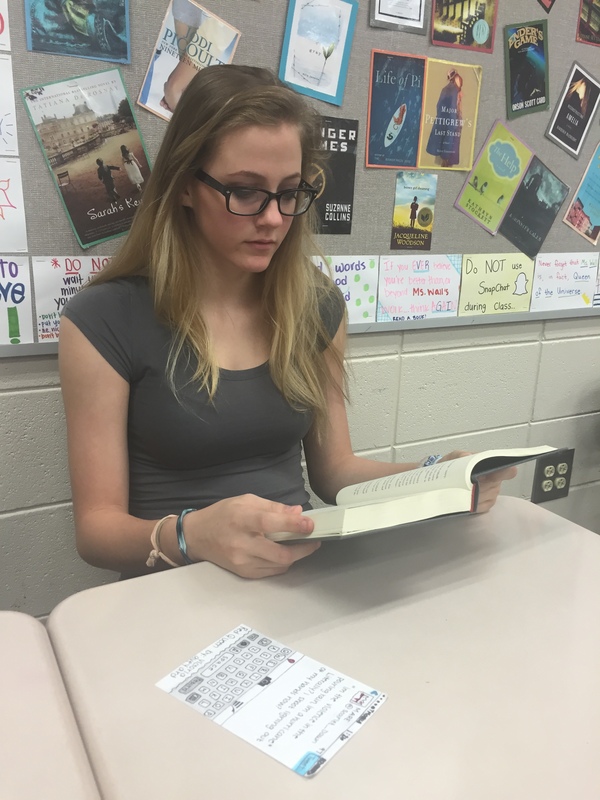 53% almost never completed an entire novel when assigned; 7% said they never read anything assigned outside of class. 86% said choosing their own books encouraged them to read more; 62% said using Goodreads encouraged them to read more. I don’t like doing homework assigned with reading because it makes me feel as though reading is something forced rather than something fun. I don’t feel forced. 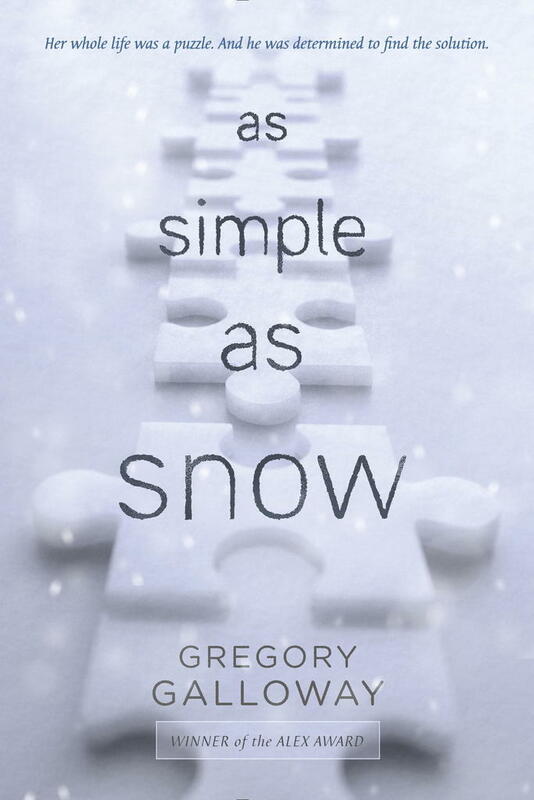 I can read at my own slow pace and enjoy my book without feeling like I have to cram pages in just for a grade. 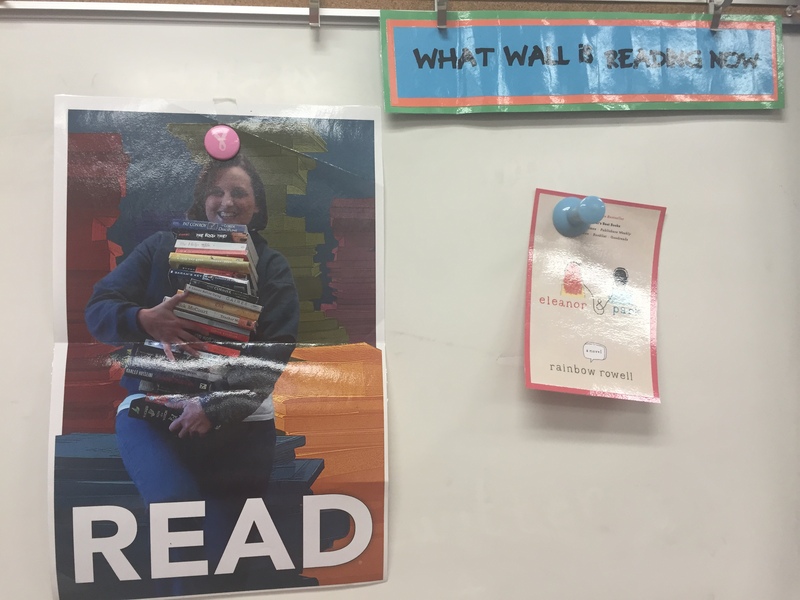 The book goals give added purpose for reading. Please don’t choose my books for me. I just wanted to make a point that Goodreads has been the most motivational thing I’ve ever used to log reading and find new books. When we got to read the blurb/skim through the many different books in the library, it gave me lots of options and helped a lot. While I believe passionately in giving students choice, I also know the challenges. I asked some colleagues (thank you Laura, Elizabeth, and Suzy!) to help me brainstorm some of the questions and concerns teachers may have when beginning to give students choice in the classroom. Below is how I navigated (and am still navigating) these on my journey. Where do I get enough books? I used a lot of resources. Garage sales and local used bookstores have been a great way to collect titles for my classroom library. I am particularly partial to the Goodwill Bookstore in our area that also gives an extra discount to teachers once a week. I connected with our school media center. They help me throughout the year by having titles available, doing book talks, and making the media center an extension of our space. It does help that my classroom is super close to the media center. A colleague and I also did a school wide book drive. We asked different organizations, clubs, and sports to donate prizes. We received everything from t-shirts to tickets to games. Then we promoted the book drive through the English department and had letters to parents for Open House and community media outlets (see sample letter here). Students received a ticket for the prize drawings for each book they donated. We received tons of books this way. 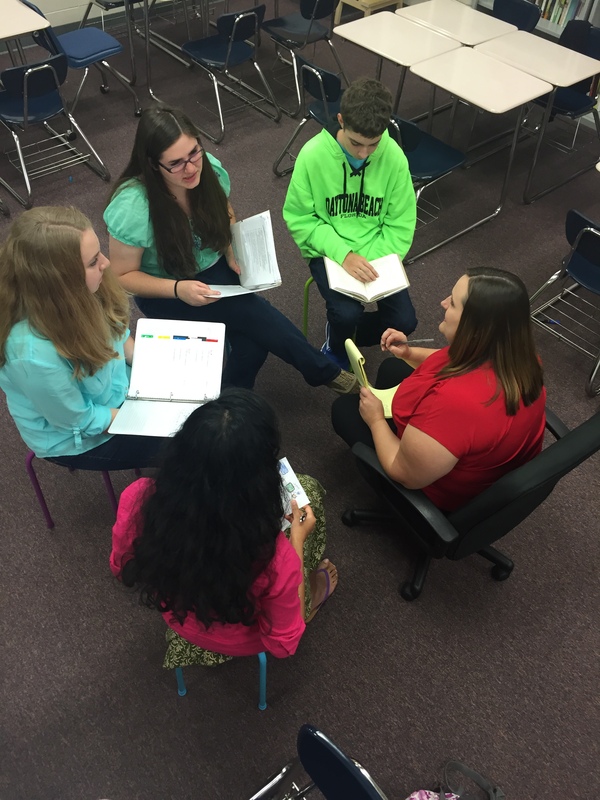 How do I help students find the right book for the right student? I don’t know if I can find right book for every student, especially early on in the year when you don’t know your students as well. I want the students to learn how to find the right books for themselves. 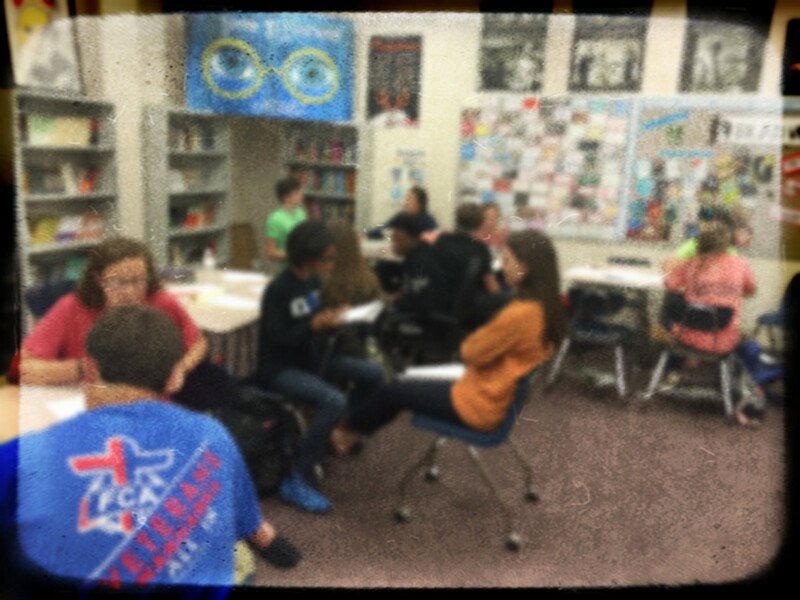 I give them lots of opportunities to find books through speed dating, book talks (and not just from me), and chances to peruse my classroom library, the media center, and Goodreads. But what probably helps them the most is giving students the freedom to abandon books. 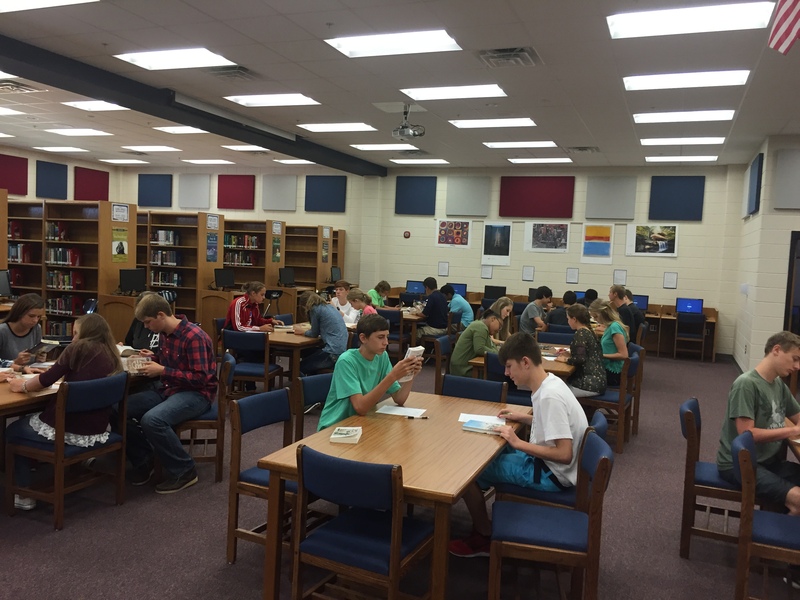 Students didn’t feel pressured to pick the one book that they will like enough to finish it. They can try out a book, see if they like it, and then decide on whether or not they want to finish. For students to who don’t normally read to find a book they want or for readers to try new genre, they have to feel safe that they can try it and walk away if they don’t like it. All I ask is that they read 10 pages before deciding. Most of the time it only takes 1-3 tries before we find a book a student likes. One particular student from last year, it took 10 tries. But he finally found a book he liked. Will students actually read outside of class? Yes, most of them will actually read outside of class, but that doesn’t excuse us from not giving them time in class to read. If we think it is important, if we value it, we will make time for it in class. By the time students reach high school, an alarming amount of them, who used to like reading, don’t do it any more, or rarely read outside of class. Sometimes they just need the time to remember the joy of reading and get hooked again. There are those who don’t like to read, even some who hate it. Requiring them to read, even a book of their choice, is not going to make them magically like reading. Chances are they don’t even know how to choose a book they like. 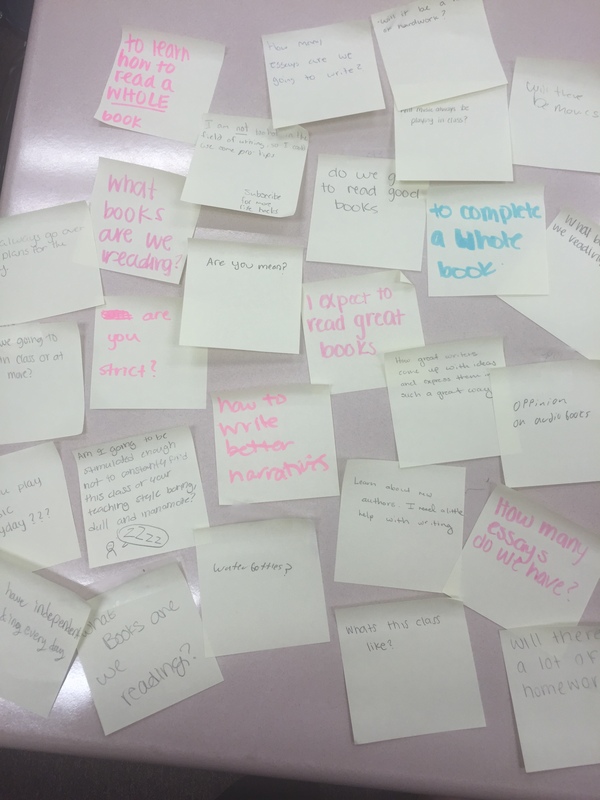 Just like I would do with any skill I was teaching, I am going to give my students lots of tools (speed dating, Goodreads, book talks, freedom to abandon, etc) to help find books and time to practice their skill (reading in class). I’m also going to talk to them about their books. I have reading conferences as often as I can with them. What do I require of them? There are a lot of different thoughts about this, and I’ve tried a lot of different ways. This year I had them set their own reading goals for the number of books they wanted to try to read this year. I asked them to update Goodreads once a week, but there were no requirements on many pages. Most of them update during class after we have read. I do ask that students read 10 pages before they decide to abandon a book. This is the least amount of requirements I have ever had, and it has been the most successful year. When I required written logs and a certain number of pages each week, it felt more like forced choice reading—which wasn’t fun. Students often made up the logs right before they were due. I don’t know about you, but I hate assigning, reading, and grading work that isn’t real, probably as much as students resent it. So I require that students always have a book in class for reading time. I require that they read during reading time. I require that they update Goodreads once a week. I require that they talk to me about the book. There are times I will ask the students to share in class conversation or in writing how a certain skill we are studying is being used in their books. How do I hold them accountable for something I haven’t read? Talk to them. You don’t have to have read the novel to talk about it. If you are a reader, you will know enough about books, characters, plots, themes, etc to ask questions about books you haven’t read. Ask them questions about their books—the characters, the plot, the title, themes. 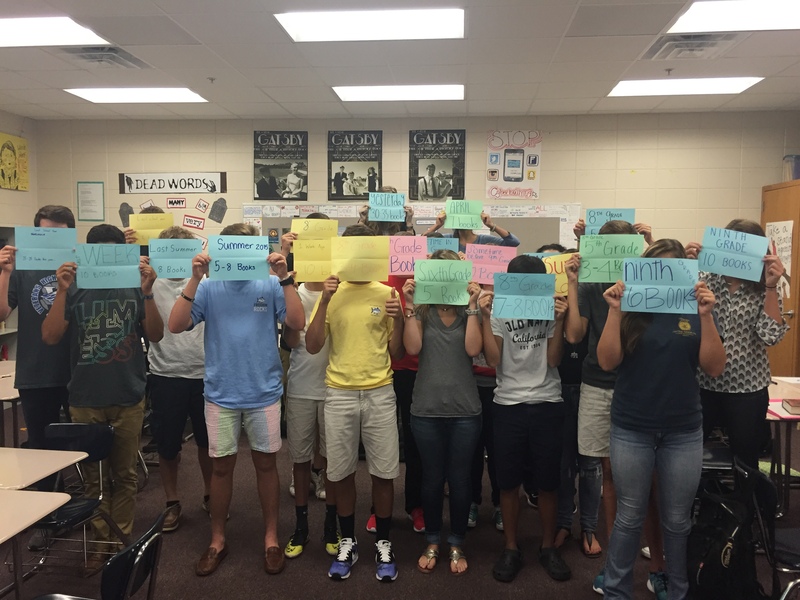 Have them show you parts in the text that are significant and meaningful. I find that when students know they are going to talk about their book, they read. Million Words Campaign has great resources conferring with students about independent reading and questions to ask (Making the Most of Independent Reading Using Student Conferences). How do I hold them accountable? Grades? I hold them accountable through talk, Goodreads, and asking them about how skills we are learning are showing up in their books; however, holding them accountable does not always mean grades. There is an expectation of reading in my class and tie to do it. Grades are something I am constantly trying to figure out and it is still evolving. Right now, I grade on preparedness for our conferences or when I ask them to do a quick write showing how a skill was used in the book. I will ask students to do some written reflections on their reading but not every night or week. The Reading and Writing Project has a great resource of different reading responses that allows students to react to the text in a way that works for the student and is meaningful rather than having students write to a generic prompt. I’d love to hear your thoughts or ideas on this. What if they choose something inappropriate (or that their parents deem inappropriate), but I didn’t know it was inappropriate (or that parents would see it that way)? I try to handle this in my syllabus. I use the parent letter Kelly Gallagher shares in Reading Reasons. It’s a well-written piece to explain to parents the goals for reading and the purpose of the classroom library. I then ask parents to sign giving permission for students to check out books from my library. I also ask parents to sign on whether they allow students to read any book they choose or whether they want to give permission for each book. Out of my 151 students, all parents gave permission to check out books from my classroom library and only one parent wanted to give permission for individual books. Find a copy of the permission page from my syllabus here. 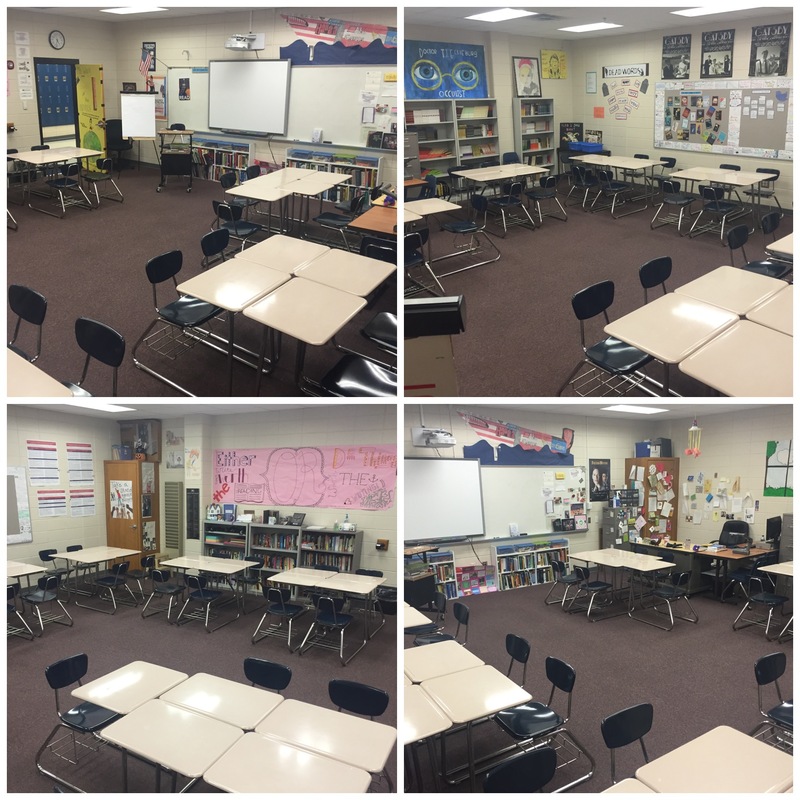 Bonus Read: Two Writing Teacher’s Dana Murphy provided a treasure trove of resources in her Back to School Post on TWT. She includes resources for topics such as conferencing, conventions, minilessons, organization, read alouds, routines and so much more. This is one to bookmark so it is easily accessible throughout the year. The first week of school is so important, so I’ve been thinking about how to make the most out of it–from the very first moment. Reading and writing are important, encouraged, and fun. We are going to laugh. This is the students’ classroom. We will be doing in this class. One of the saddest things students tell me every year is that they used to love reading but not now. This stems from a variety of reasons, but whatever the reason, I want to change the culture of reading in my students. Students will create a “Books I Want to Read” sheet in their class notebooks (we keep our writer’s notebook and reader’s notebook in one binder). Speed date—with books: I will have 5-7 titles at each station. Students will visit each station for about 3 minutes, writing down titles of interest. 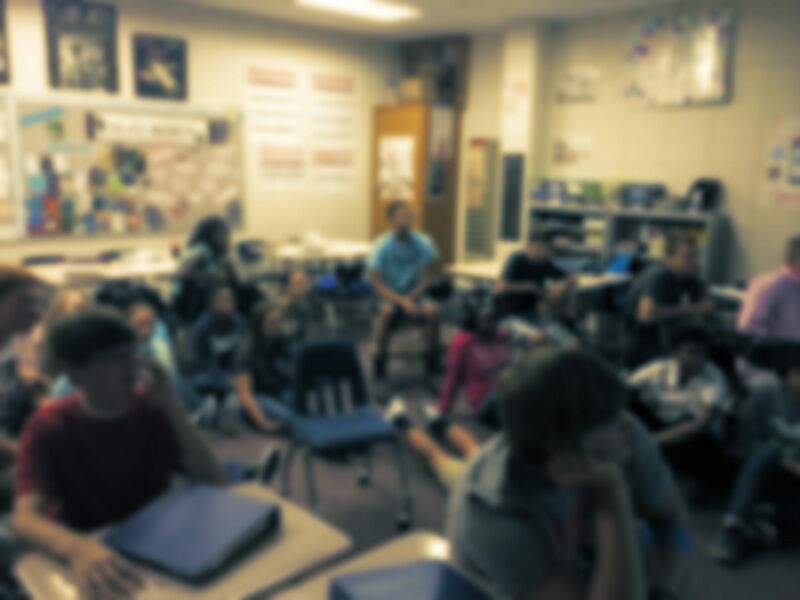 Keep in mind that if I have 165 students, I need to think about the number of titles and copies of books I need so that 7th period has just as much and just as good of choices as my first period. After they visit all the books, they will check out a book. We will not discuss their Lexile score nor the Lexile scores of the books. This is about getting students hooked on reading, about giving them choice, about encouraging a love of reading. For a powerful conversation about students who don’t read on grade level, check out My Child is Not a Struggling Reader. Students will keep their reading logs on Goodreads. This will be new to many of my students, so I will have them log on in class. Freedom to abandon books: What makes me think that students who are not in the habit of reading are going to select a book they love the first time? Or why would I want to discourage readers from trying a new genre by forcing them to stick with something they may not know if they like? Students need to know that it is okay to abandon a book, but also the help to find a book they will like. Time to read–immediately: If students don’t have time in class to get hooked into their book, they are less likely to read it at home. If it is as important as I believe, then I have to make time in my class for it. Our first unit is a memoir unit. These are the professional resources I’ve been reading to help me think through this unit.